iLoveKickboxing.com - Kickboxing Classes That Burn Fat, Fast! The Wheeling Fitness Kickboxing Program that Burns Fat, FAST. Revolutionary Fat-Loss System Helps Wheeling Men & Women FINALLY Lose That Extra Weight. That's why in every class, you'll do amazing conditioning... And have a TON of fun punching & kicking the fat right off your body! And Our Members Couldn't Agree More. "25 Pounds GONE in just a couple months!" "I've honestly never had so much fun losing weight and getting in shape. 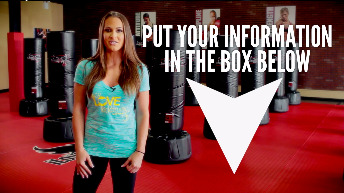 iLoveKickboxing.com makes it easy and FUN to stay on track. It's only been a few months and I've lost 25 pounds of fat. Couldn't be happier!" "54 pounds of fat = gone!" "I tried chain gyms, running and trainers and got ZERO results. I joined iLoveKickboxing.com and the weight just came off, my energy is higher than ever, and I'm just loving life." "I've lost 43 pounds & feel GREAT!" "I've never met such a caring, inspiring group of men and women as the iLoveKickboxing.com instructors. They pushed me to try my hardest when I wasn't feeling up for it, and made losing 43 pounds in 12 weeks FUN. Thank you." "I looked GOOD walking down that aisle!" "My husband and my family were stunned by my new, slim body. iLoveKickboxing.com helped me lose 17 pounds, helping to make my wedding day the most memorable one of my life." "Finally melted away 32 pounds of fat!" "When I look in the mirror, it's still hard to believe how great I look. I think a part of me thought I'd never get these results. This kickboxing program did the trick. I lost 32 pounds of fat & got lean & toned!" "I never imagined I'd be 41 lbs. lighter this fast!" "It's TOUGH to lose your baby weight. Trust me. But iLoveKickboxing.com melted all 41 pounds of my baby fat it in just 6 months. The best part is my energy is up, so I can play with my kids for hours." "A heck of a lot of fun!" "Because the classes are so fun, and the instructors are so encouraging and motivating, it's so easy to keep coming back. You just show up and they'll deliver the results. I lost 29 pounds in just 12 weeks." "Keeps my photo shoot-ready, 24/7." "I'm in a career that requires me to maintain a certain physique. These classes have everything I need to stay photo shoot-ready, 24/7. Amazing instructors, awesome workouts, and awesome members too. Love it!" Our Program blends 4 different styles from around the world to give you the most exciting, fat-melting workout possible. "I'm 52 & I lost over 40 pounds!" "I was tipping the scale at 224 lbs. & after 12 weeks I had shed 41 pounds of fat and got down to 182. I highly recommend this program to anyone looking for a fun & exciting way to get in the best shape of your life!" "After my second baby, I had a terrible time trying to lose the weight. It seemed like my body would never go back to normal. I laughed when one of the instructors told me I could lose 20 lbs. in 8 weeks. 21 lbs. later I'm still in shock. Thanks!" "Skinny jeans, here I come!" "With iLoveKickboxing.com on my side, I know my skinny jeans are right around the corner. I lost 51 pounds in 12 weeks with this program. It works. The instructors are amazing. Just give it a try already!" "My confidence is up and my body is toned!" "Being slim and healthy makes me more grateful than just about anything except for my kids. It helps me be a better mom, because I actually have energy to spend with my kids. And my confidence is better than ever." "I didn't know I could lose so much weight so fast." 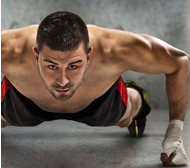 "In 3 months I lost 38 pounds with these kickboxing classes. I didn't know I could lose so much weight so fast. I can't tell you how frustrated I was before joining. I wish I'd known about it years ago!" "Thank you for giving me such an amazing body." 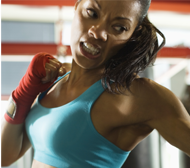 "Because of these kickboxing classes, I just feel so confident and great about my body. They make it easy to get results because the classes are so fun, you want to come to as many as you possibly can!" If you live in the following areas: ... you are close enough to come train with us! iLoveKickboxing.com is a registered trademark of FC Online Marketing Inc. © 2009-2019 all rights reserved.